The utmost in range, speed, and sophistication and style. 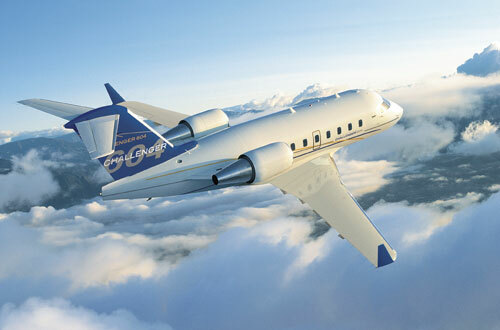 Beginning with the original Challenger 600, Bombardier created a successful family of business jets. After numerous refinements and upgrades, the Challenger 604 secures the family name in the long-range, business jet market by providing range, speed, and sophistication and style. A lot of power can be found in the Challenger 604. Two General Electric CF34-3B engines propel the jet, each rated at 8,729 lbs of thrust. This means that with eight passengers, the 604 can fly 3,850 miles, and at .74 Mach. However, 4,000+ nautical mile legs are possible at 424 ktas due to new fuel distribution and greater capacity (2,460 gallons). The cabin has a generous stand-up height and over 8 feet in width. At its maximum capacity of 19 passengers, the cabin would be crowded at best, however there is plenty of room with 10-12 passengers. The space can be configured in a double-club or a forward club/half club/divan arrangement. Since the 604 has intercontinental range, a deluxe galley and lavatory, and extremely low noise levels are much appreciated by passengers. The Challenger 604 is one of Bombardier’s most capable aircraft. 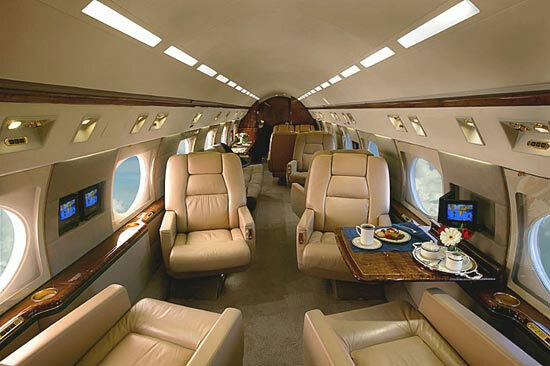 Not only is the jet capable of traveling long legs with few to no stops in between, it offers plenty of pilot and passenger amenities that make the trips manageable. It’s no wonder that Bombardier produced a total of 347 Challenger 604’s, and for ten years (1996-2006).